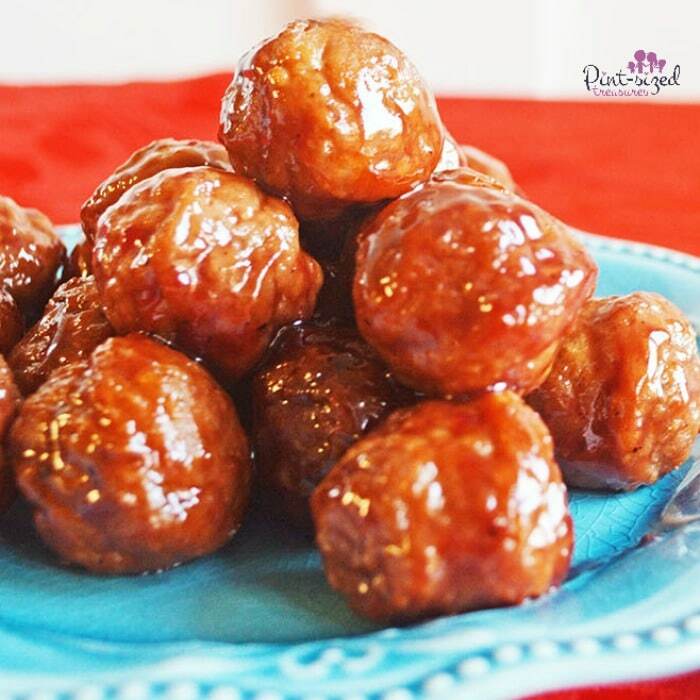 This Sweet and Spicy Meatballs Recipe is Super Simple! 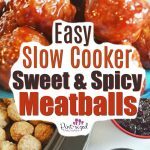 Simple, slow cooker, sweet and spicy meatballs are exactly what your next party needs! It’s one of our favorite beef, dump crock pot (or slow cooker) recipes! These meatballs are super easy for busy moms to toss together and serve for a party or weekly family meal! Want a Crazy-fun Meatball Recipe Idea? Here’s a family meal hint: Layer meatballs on french bread, add some shredded cheese and serve with a side salad for meatball sub and salad meal! 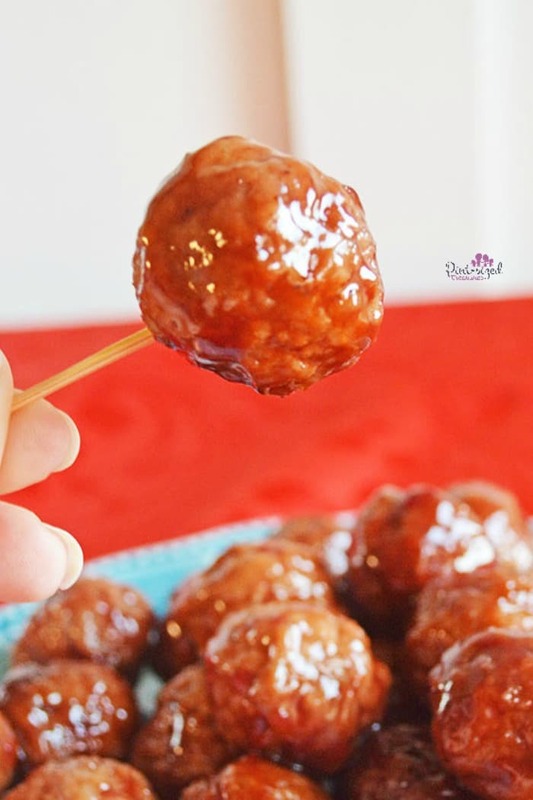 Just cook the packaged meatballs as normal and leave off our favorite ingredient in this recipe that create the easiest sweet and spicy meatballs you’ve ever made! Moving on to party recipes! We always keep a stash of toothpicks when we serve meatballs. This makes it super-easy for guests to quickly grab their meatballs and dig into party food. And when these slow cooked meatballs hit the party table, they’re ready to be gobbled right up! Best thing about this crock pot, meatball recipe? You can always serve it piping hot because it’s cooked and served in a slow cooker! When I’m hosting parties, I also like to serve hot drinks int he slow cooker! Here’s a fun, slow cooker hot chocolate recipe.…because I think hot chocolate should be drank during every season of the year! 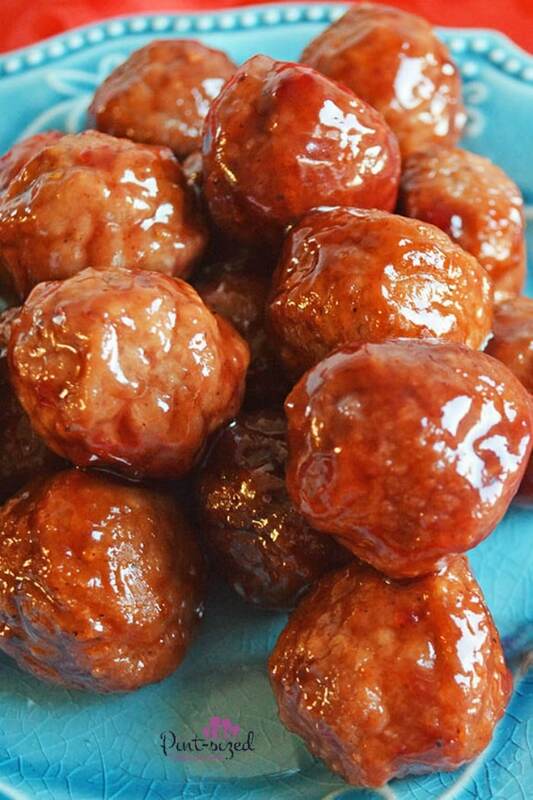 Sweet and Spicy Meatballs have been a favorite of mine since I was a kiddo. I’m so thrilled I can now make these for family, friends and my kiddos. And one day, my kids will share them with friends and family too! And just like that….you’ve got a family recipe that’s steeped in tradition. No matter how crazy easy it is to make! Unlike this amazing, classic meatball recipe, this meatball recipe has some secret, pretty unique ingredients! 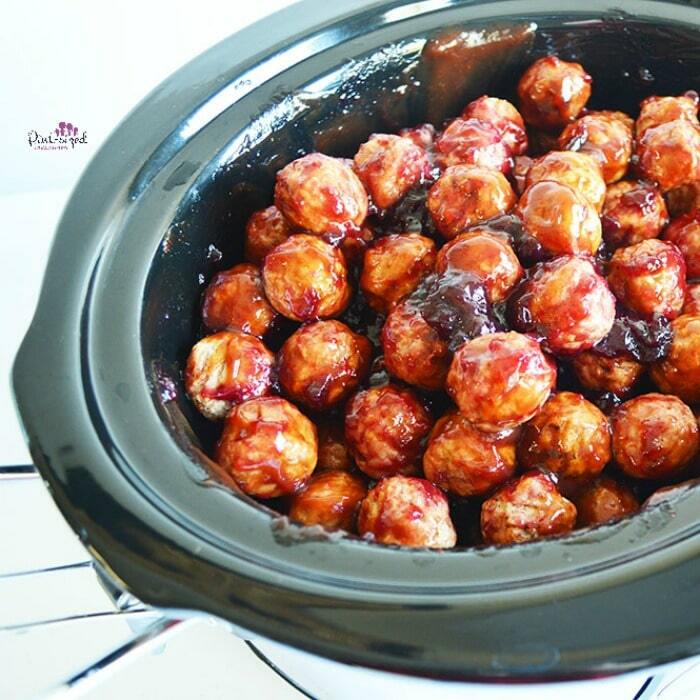 I have no idea why grape jelly makes the best slow cooker meatballs but it totally works. Like purple magic in a glass jar. What Does the Perfect, Slow Cooker Meatball Have? The perfect meatball has sweetness and a dash of spice. Because heat adds so much more fun to a dish! That’s why this one is my go-to! And if you’re invited to my next party? Be ready to grab a toothpick! 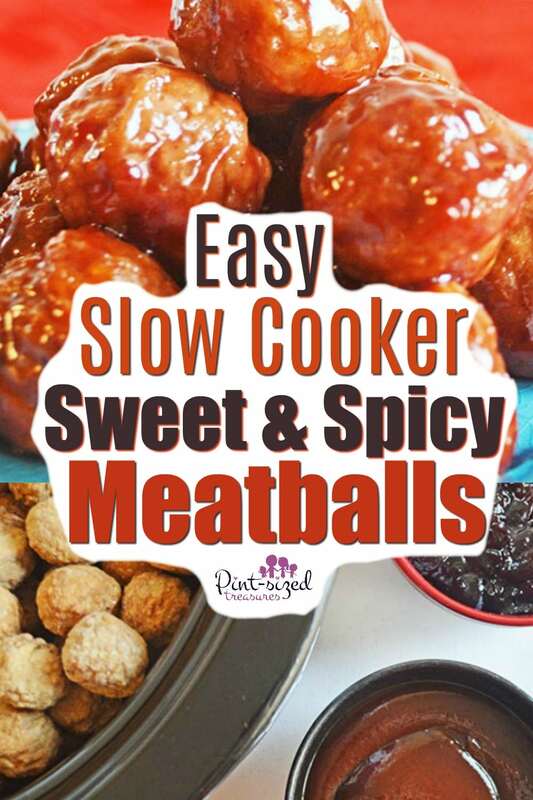 Go ahead and try this super simple, slow cooker meatball recipe for yourself! 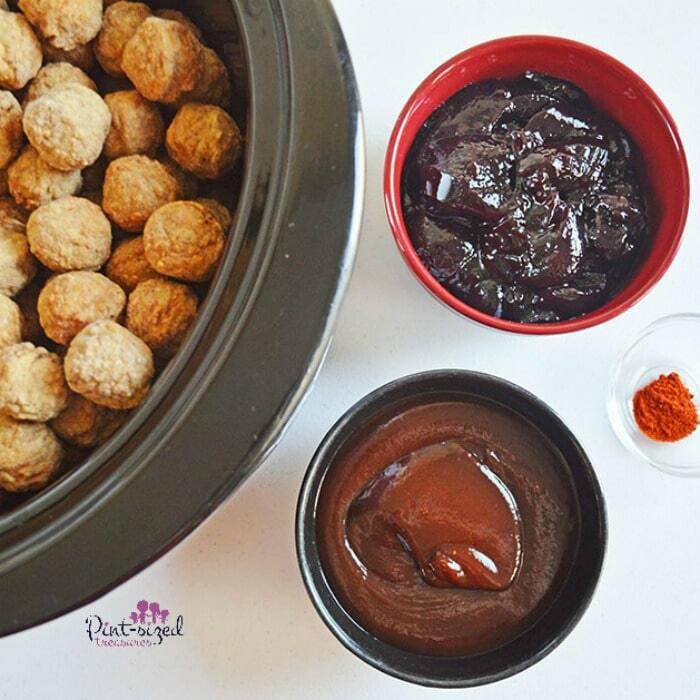 Easy, sweet and spicy, these slow cooker meatballs are a family fave and perfect for parties! Combine all ingredients in a large crockpot and mix well. Stir sweet and spicy meatballs to get all those flavors in! Serve in slow cooker or on a party platter.